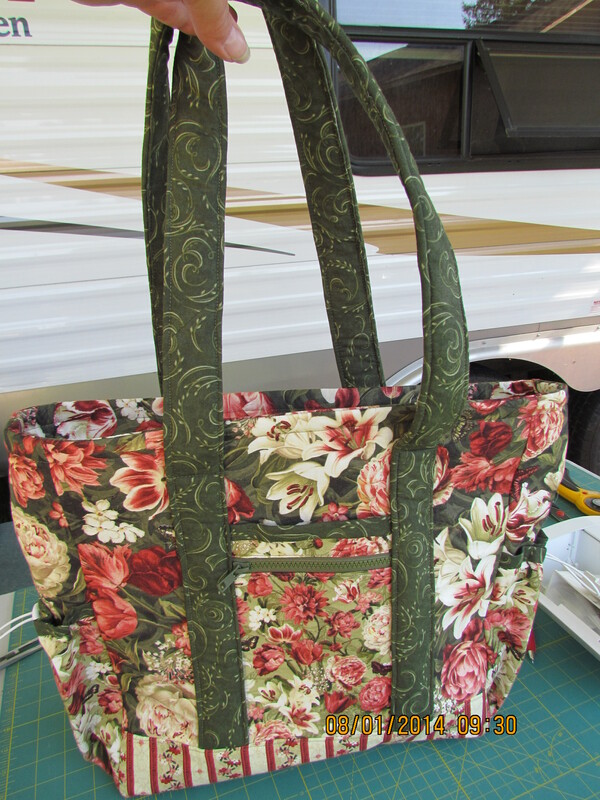 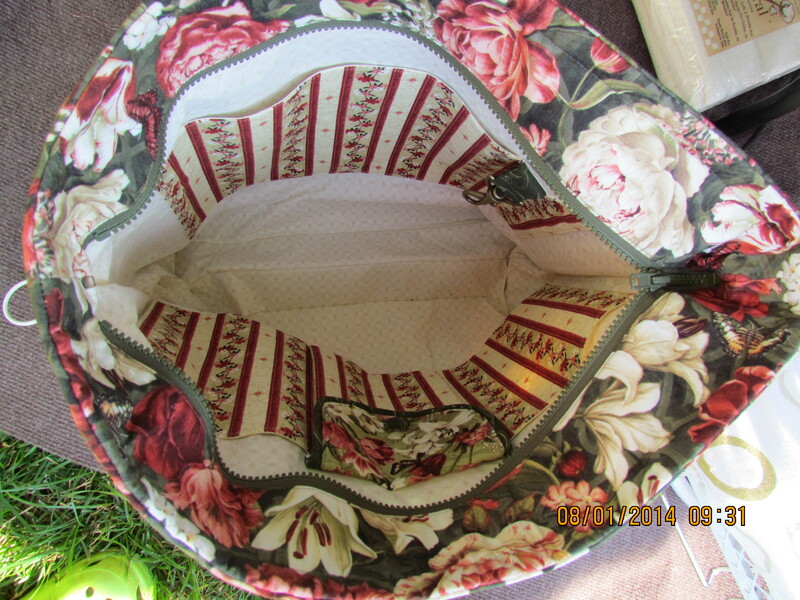 This new Professional Tote inspiration comes from Denise T. This floral design is elegant and I love how the inside pockets pop! 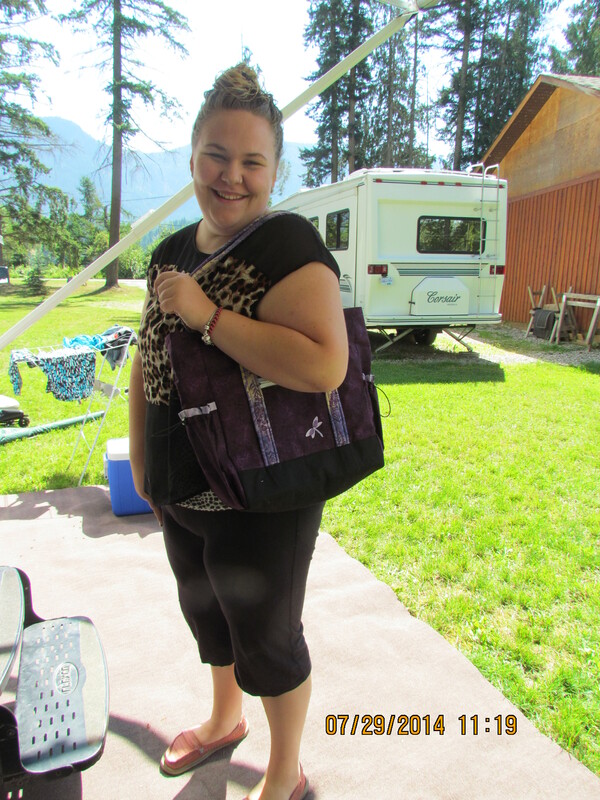 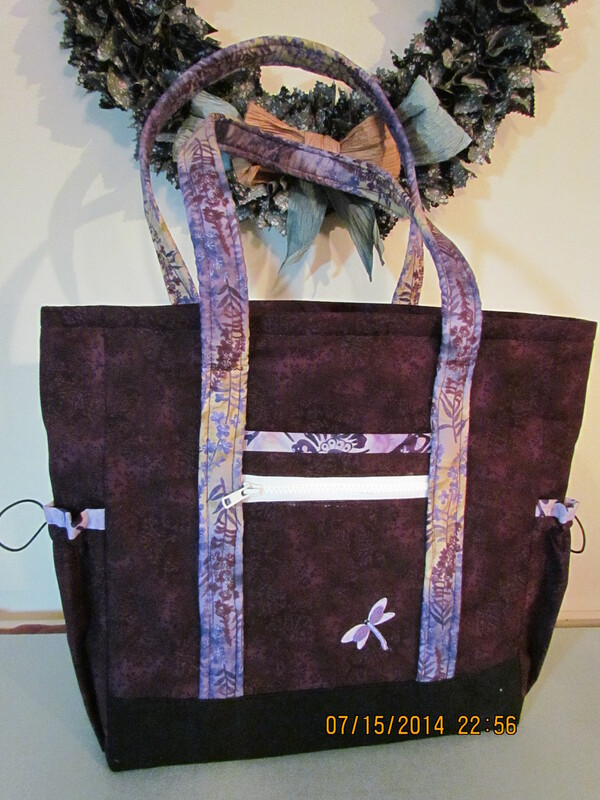 Denise made this beautiful purple Professional Tote for her Granddaughter for college. 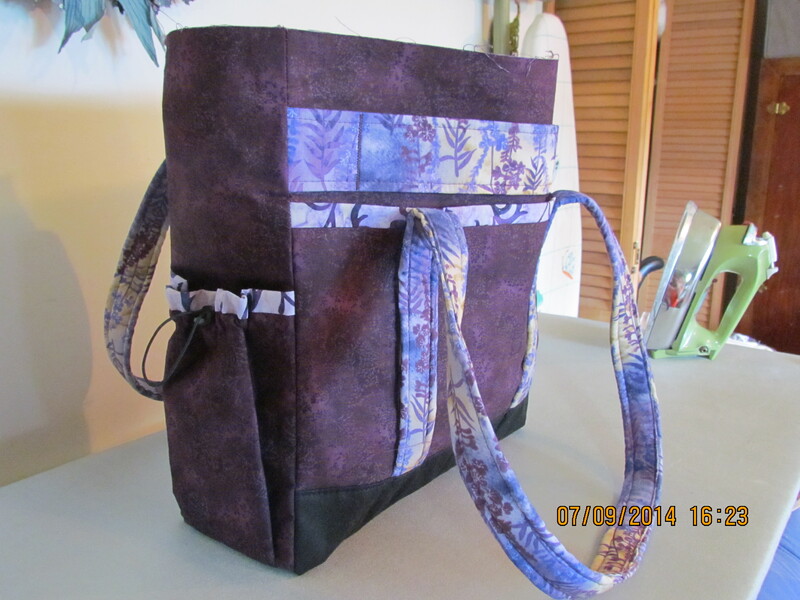 I’m partial to purple, so I love it, too. 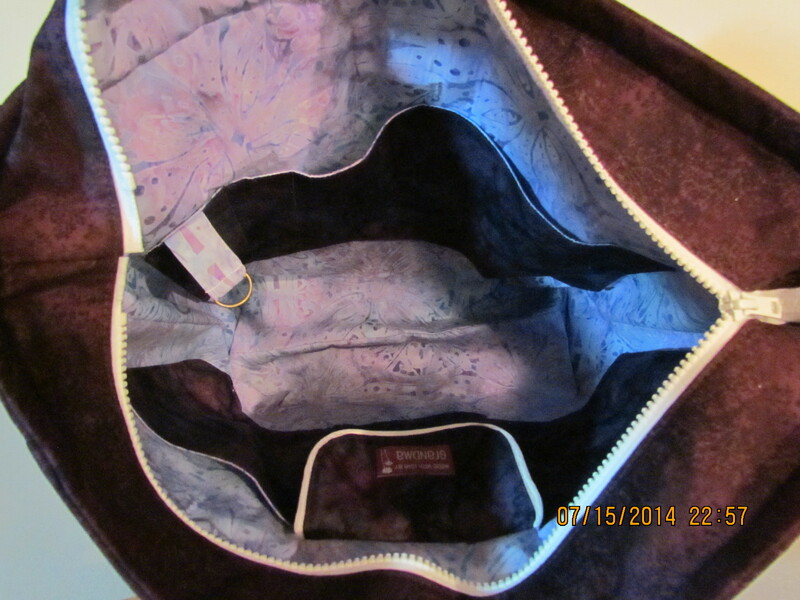 The embroidered dragonfly on the front pocket gives it a personalized touch.